Smiley first came about in 1972 when a young journalist Franklyn Loufrani wanted to spread a little happiness in a time when bad news seemed to prevail. On New Year’s Day, French newspaper France Soir printed a Smiley logo next to all positive news stories. The idea became such a huge hit that people started buying the newspaper more, looking for the now iconic smiley, which would lead them to the ‘good news’. Before long, the promotion gained traction and an icon and brand was born. When Franklin’s son, Nicolas Loufrani came on board 20 years ago, he looked at the logo – which he had been seeing his entire life – and realised that he wanted to bring in something different, something new. He started changing expressions; brought in different emotions which later became emoticons and the rest as they say is history. The Smiley icon is one of the biggest phenomena in digital history ! For over 45 years, The Smiley Company has shaped the way we share happiness and express ourselves through iconic products found all over the world. From upscale capsule collaborations with iconic couture houses to limited edition products with the world’s leading hipster streetwear brands – Smiley brand collaborations continue to captivate reative directors, buyers and fashion press the world over. So, what makes Smiley apart from the rest of the market? 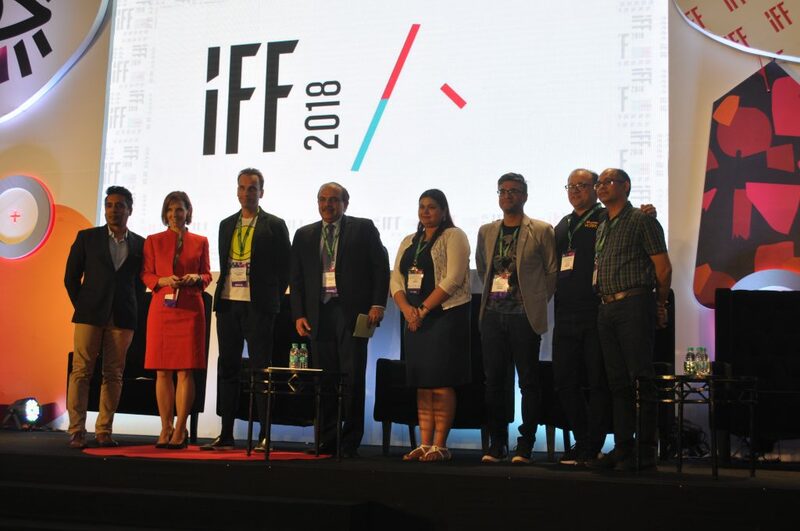 It is the brands unique positioning at the epicentre of three major trends in society today: Happiness, emoticons and fun. Today, The Smiley Company is present globally in almost 200 countries. It boasts of collaborating with some of the largest retail groups in the world and categories ranging from food, home décor, gifting, stationery, publishing and toys. The Smiley brand has a major licensing program which generated US $400 million in 2017. No wonder it’s one of the top 100 licensors globally and has won numerous awards including the Best Corporate Brand, Fashion & Lifestyle Program of the Year at the 2017 LIMA awards in Hong Kong. We at Dream Theatre were quick to realize the power of the brand and it’s potential in India. We also wanted to spread the brand message – happiness and fun to the Indian consumers. We worked together with Smiley – each one bringing in their own values, their own abilities and their own thinking to come up with a product that will be the best possible product for consumers. 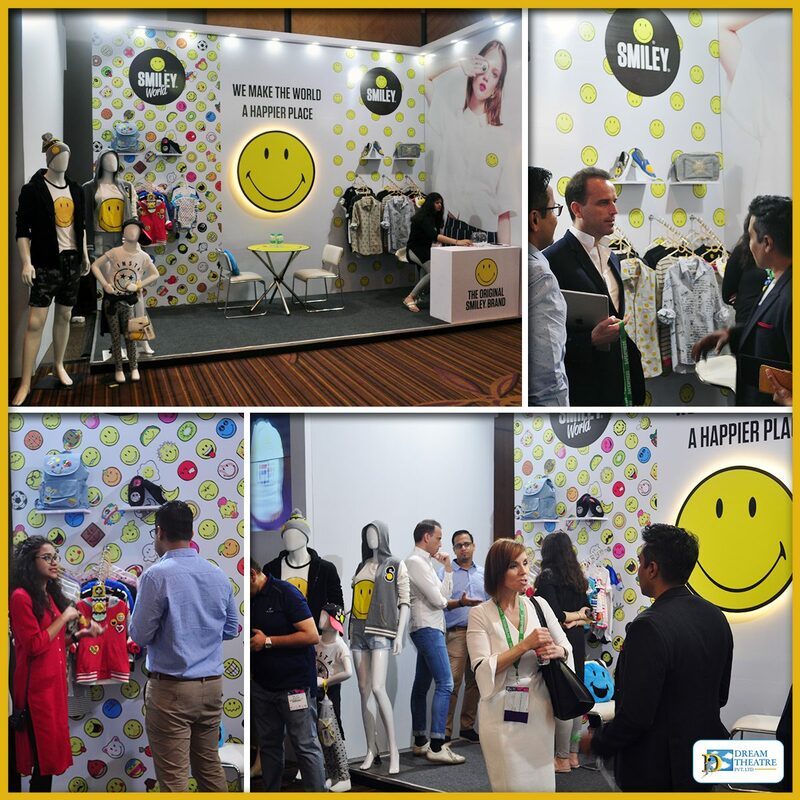 Smiley brings a smile to the faces of consumers at retail, and we at Dream Theatre are helping big brands reach their customers in exciting ways. Smiley launched its first apparel collection for women in India with ONLY (Bestseller). 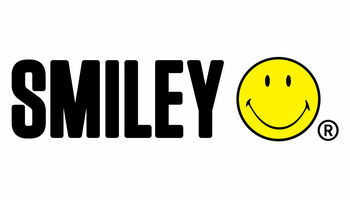 Such was the pull of the brand Smiley that the collection got sold in record time. There was no looking back after that. We successfully partnered with Krupa Industries, one of the largest BTS players in India to launch lunch boxes, pencil boxes, water bottles etc. for kids. Followed by Ultra, one of the largest soft toy manufacturers to launch Smiley plush & school bags. We also partnered with Simba, one of the largest kid’s bags manufacturers to launch a kids’ line. The positivity of Smiley’s brand appeals to both parents and children. Available in-store and online, this trendy line has been created especially for children. FMCG has been our strength in licensing and we successfully leveraged our relationship with Mondelez to launch a Smiley promotion – an on-pack and in-pack promotion for their popular candy brands Lickables and Gems. The campaign launched in September and offers Cadbury’s customers the chance to collect 16 mini Smiley toys including fidget spinners, phone stands, puzzles, mazes and stamps, as well as enjoying a selection of Cadbury’s products that feature a range of the iconic Smiley emoticons on their packaging. The promotion will be supported by TV advertising campaign and we will be replicating the promotion in additional territories, including Indonesia, Malaysia and the Philippines. Working with Mondelez is not just building brand awareness; it’s allowing us to create integrated marketing experiences for both retail and online. In India, Smiley is also present in Lifestyle department stores for many years now, where they cater to men, women and children. This range offers colours, and choice of the messages relevant to local consumers, providing buyers with the best of both worlds. Smiley is also present in Archies and our offerings include greeting cards which create the buzz among the young audiences – teenagers and young adults. They’re happy, fun and cool. The above partnerships showcases yet another great story of how when you work with Smiley – you don’t just get trend led, best-selling collections, but also an incredibly positive marketing message to create meaningful and memorable customer experiences that consumers want to share. They are going to further spread our message of bringing happiness and positive values and spread smiles. Smiley increases purchase intent and improves on-shelf stand amongst consumers. As a result more brands are turning to Smiley in order to leverage not just our authentic position, but also our positive marketing message and directory of thousands of trademarked Smiley icons. Trends may come and go, but the Smiley face is clearly here to stay. Its transition from being an emotion to being an Emoticon is truly phenomenal. Smiley has been setting trends and has always been at the forefront of popular culture. Now four decades later, Smiley has become more than just an icon, a brand and a lifestyle: it is now a spirit and a philosophy, reminding people just how powerful a sunny smile can be! Mojostar, a joint venture between Dream Theatre and KWAN Entertainment, launched its second celebrity, co-created brand Just F, a female-only fitness and fashion brand with Jacqueline Fernandez. Mojostar is founded by two industry veterans – Anirban Blah, founder and MD of KWAN entertainment and Jiggy George, founder, and CEO of Dream Theatre. What does ‘F’ mean in the Brand name? When someone asked Jacqueline, watch she said about it – Click Here! Just F aims to explore the female active-wear space in India with a combination of fresh design, functionality for fitness and trendy fashion. 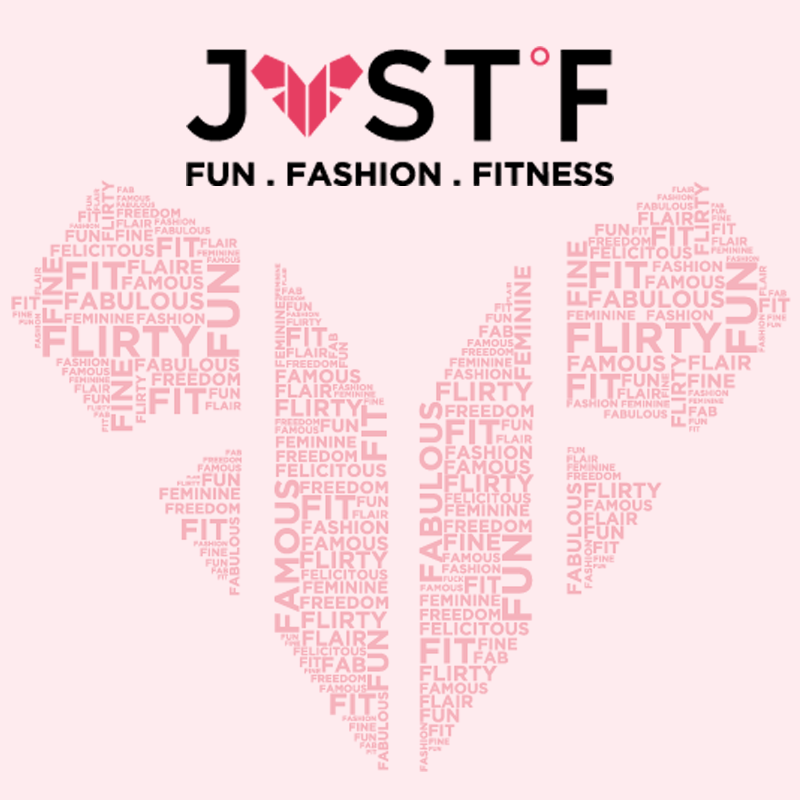 Just F will launch a range of stylish athleisure outfits, covering a range of trends and use cases such as monochromes, floral infuse activewear, club-inspired activewear, functional sports bras, color blocking etc. The brand has also paid great attention to detail in terms of construction and sizing, designing products which are better suited to the body type of Indian women. Crossover styling across the range helps women to fashionably achieve their fitness goals while bringing the fun back into the mix. For more brand creation and extension ideas with licensing, connect with our experts today! Hello Kitty is not a cat! Yes, that right, she is a 6-year-old girl called Kitty White living in London! And since she made her debut in 1974, Hello Kitty become one of the strongest girl brands on the planet, with more than 50,000 product lines across the world and is adored in 200 countries. Witairplaneses to stationery and everything else in between, the Hello Kitty brand is estimated to be a 7 billion dollar empire and growing and has a fan base that starts at babies and goes up to women in their 30s and 40s who grew up with Hello Kitty! And therefore in addition to all the apparel, toys, publishing, food and beverages and more for little girls, Hello Kitty graces fashion weeks across the world and has product lines with top street fashion and cosmetic brands like Asos, Topshop, Sephora, Lazy Oaf and footwear lines with Puma. 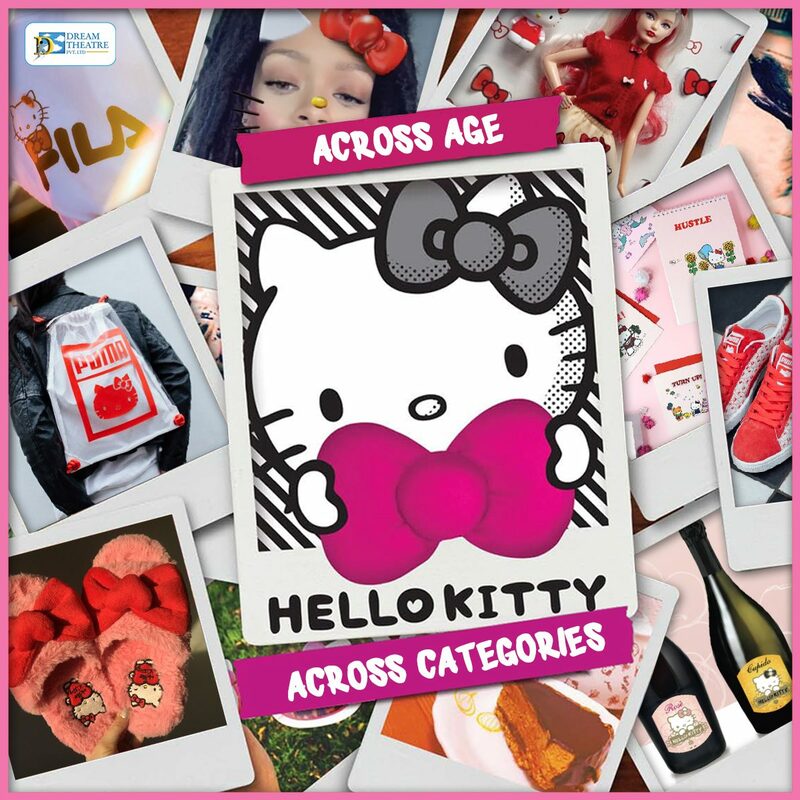 In India, Hello Kitty has an equally besotted fan base and a massive range of products selling like hot cakes in apparel, footwear, eyewear, bags, back to school and toys. Launching soon are Loungewear, home décor and more! And if you plan to be in Japan later this summer, you could also ride a Hello Kitty Bullet Train! Closer home, if you would like to add girl power to your portfolio, look no further than Hello Kitty. Contact Now! Cheers to the Wonder Years! Brand Beebop, owned by Dream Theatre Pvt. Ltd. launched in early 2010 is India’s first homegrown pre-school brand. From launch to date, our brand has loyally adhered to its original philosophy of extending the joy of parenting. Our endeavor is, to make the journey from infancy to toddlerhood and beyond a “Wonder” filled memorable experience for every Beebop baby.Our brand was launched with a robust, curated range of toys and baby essentials for newborn babies until age 36 months. The range grew with the addition of baby apparel gift sets, baby blankets, including a host of other soft line products.The exciting, innovative extension along the way was the publishing arm of Beebop. In 2015, Beebop books were launched by Harper Kids India (An Imprint of HarperCollins Publishers). Each Beebop storybook (age appropriate for 3 + years) is brilliantly illustrated and has an activity book based on the story which can be used over time, as the child’s cognitive skills develop. This is in sync with our philosophy of extending the joy and engagement with the storybook. 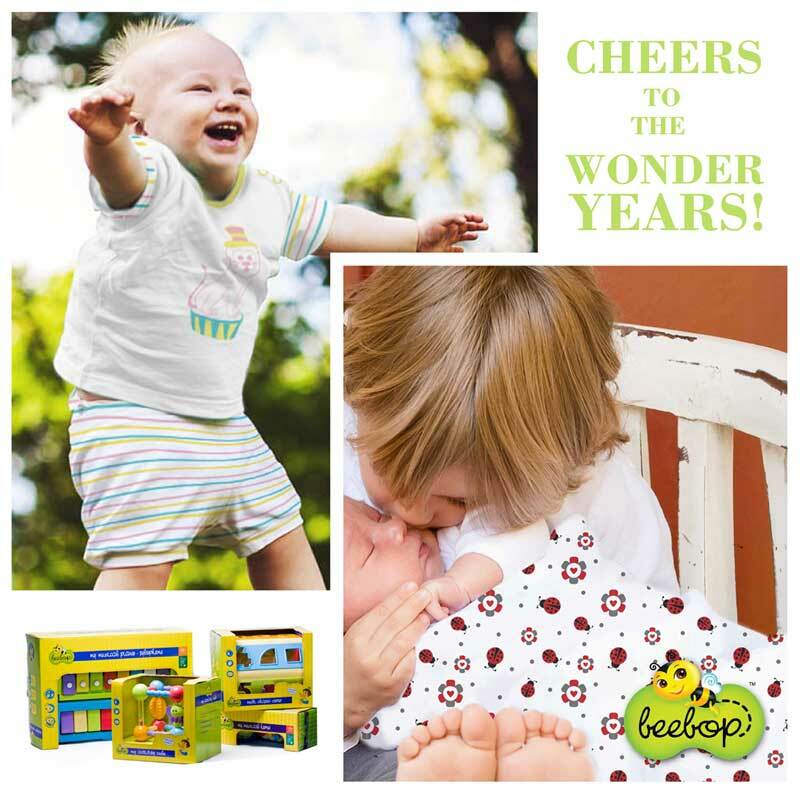 In every category, Beebop products have stood out with its high quality of global standards, a studied understanding and thought of what a baby, as well as a caregiver, would need, unique thematic designs in the soft line range, value enriched products, affordable pricing and most importantly the story that precedes the Brand of Beebop. Today Beebop proudly offers a range of excellent quality products which are stylish and international in its appeal, all at very affordable prices. Our comforters both the hooded ones which double up as cozy swaddle cloths and the reversible summer blankets are big hits with new moms. We also offer a range of cushioned carry nests for babies and infants while on the go. This product is ideal to carry a baby in arms or offer cuddled up comfort to an infant when taken out of the home. Our apparel gift sets are theme based and refreshing in its color palette and designs. What makes us stand out is that we can boast of the tiniest little skirt sold for your little princess. Our baby girls 5 pieces gift sets in a newborn size has a little skirt instead of the quintessential unisex romper or shorts…all this and more at Beebop. keep a lookout for more as we Welcome you with love to the World of Beebop! 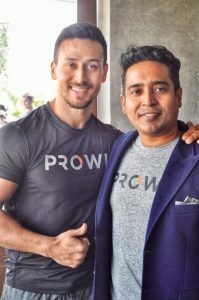 Mojostar, a joint venture between Dream Theatre and KWAN Entertainment, launched its first celebrity, co-created brand Prowl, a brand with Tiger Shroff. The brand will play in the active lifestyle segment with apparel and more launches in the anvil. Prowl represents youthful energy and celebrates movement in all forms – from martial arts to dance. And that reflects very well on the brand color of deep orange popping out of the black and white logo. The active lifestyle business is a USD 7 billion market and growing really fast. While a plethora of international brands are available in the market, none address the 18-25 years age group specifically and Prowl aims to create a dent in the market by offering a combination of style and performance aimed at a focussed target audience. 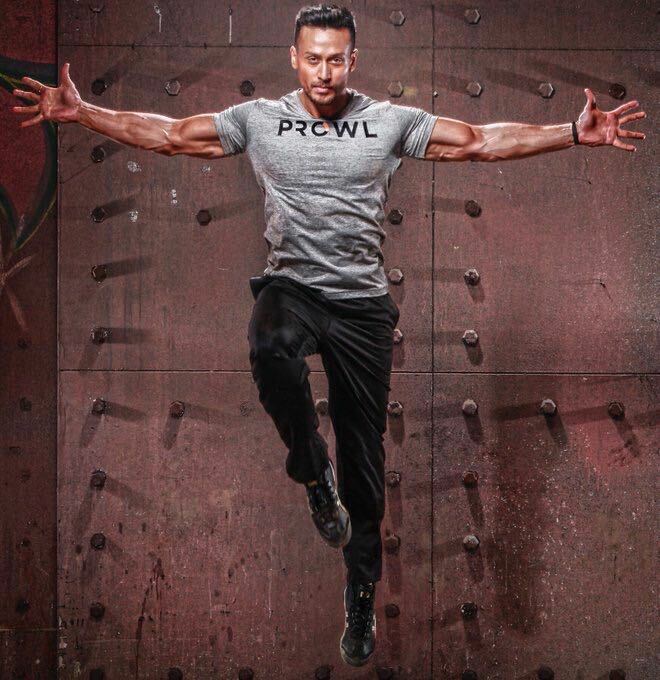 Tiger foresees Prowl becoming a successful dominant in active wear over a time of 5-10 years and also see international opportunities over a time period of 4-5 years especially in the South East Asia markets. He is actively involved with the brand so far with almost everything. Adding his personal experience to active wear, addressing issues that consumers face and expect an active wear brand forms the core of the brand. 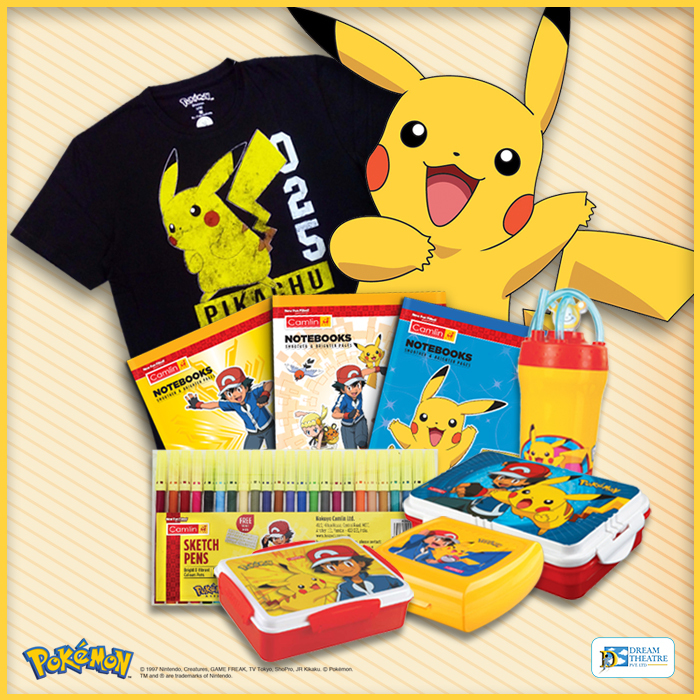 Products will be priced between INR 1000 – INR 3000. The range is expected to hit the market by June 2018 and will be available on leading e-commerce platforms. 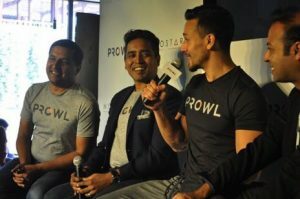 Prowl will currently be available online only.